British reggae star Maxi Priest isn’t just cutting a track for the upcoming John Lennon tribute CD being produced to salute the former Beatle’s time in Bermuda — he will perform it live at the Botanical Gardens on June 21. The Ride The Wave charitable organisation is spearheading the CD — featuring Bermudian artists and top-rank international performers with strong local ties — along with a commemorative concert in conjunction with the unveiling of local artist Graham Foster’s John Lennon sculpture at the Masterworks Museum of Bermuda Art. Maxi Priest, who performed regularly in Bermuda during the 1990s, was due to record a cover of a John Lennon song for inclusion on the CD last night [Feb.9]. The track will be mixed at London’s Abbey Road Studios — immortalised in the title of the last ever Beatles’ studio album in 1969. “At the moment he wants his song choice to remain a surprise but Maxi Priest has told me he intends to be in Bermuda to sing it,” said Ride The Wave organiser Tony Brannon. 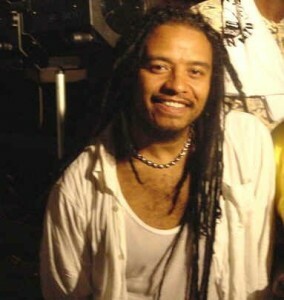 Christened the “King of Lovers Rock” by his fans, Maxi Priest remains one of the most internationally popular reggae singers since Bob Marley. The reggae artist will be part of an all-star line-up of Bermuda and overseas talent who will perform at the Botanical Gardens concert on the night of the Masterworks event. John Lennon sailed to Bermuda from Rhode Island aboard a small yacht in the summer of 1980. After surviving a fearsome ocean crossing, he was inspired to write what proved to be the last songs of his life during an extended working vacation on the island. Some of the Bermuda material — including the classics “Woman” and ”(Just Like) Starting Over” — appeared on the final album released during his lifetime, “Double Fantasy”. That record took its name from a flower Lennon saw while visiting the Botanical Gardens. And Mr. Brannon is hoping some of the musicians who played on the album, including Bermudian drummer Andy Newmark, will appear at the memorial concert being held at the very location which provided “Double Fantasy” with its title. Other Bermuda-penned songs feature on 1984′s “Milk And Honey”, the album John Lennon had been working on at the time he was shot to death in New York by a deranged fan in December, 1980. The heartfelt “Grow Old With Me” — his final love song to wife and muse Yoko Ono — is included on that record. Surviving Beatles Paul McCartney, George Harrison and Ringo Starr later used demo tapes of two other songs which John Lennon worked on in Bermuda — “Free As A Bird” and “Real Love” — as the basis for a pair of posthumous collaborations in 1995. Awesome! I’m looking forward to this. Maxi is one of my favourite singers. Woooooow, awesome me too Nick!!!!!! Thanks Ride the Wave, all the BEST in the planning process. Dont forget ….The singers will only be doing 2/3 songs each MAX ! This is about all the CD artists and their tribute to Lennon…..